Where small flows (CV <3.0) at relatively low pressure differentials are present, the waterhammer is eliminated by the fixed restriction of the pilot flow. This is the standard design for the industry. However, to reduce waterhammer in highflow applications, a unique field adjustment device can effectively control the waterhammer in an application. 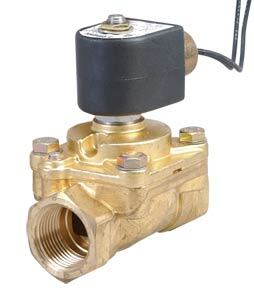 The closing time on these valves can be adjusted by a 4-position selector. Position 1 allows the fastest closing, position 4 the slowest.